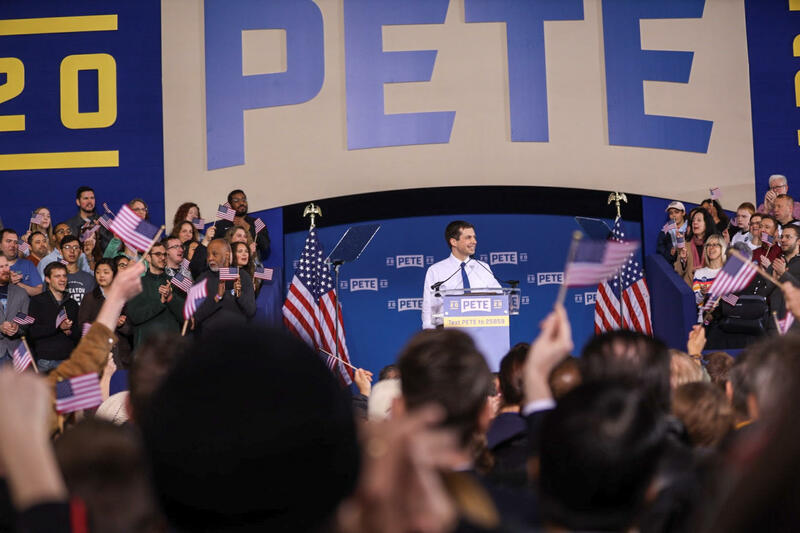 Inside a cold wet Studebaker building in South Bend that is representative of the past, the city's mayor, Pete Buttigieg, made predictions about the future. He officially announced that he is running for President of the United States. Buttigieg's campaign has raised more than $7 million in the first three months of this year. Sanders is leading with $18 million raised in tbe first quarter, but Buttigieg raised more than Sens. Elizabeth Warren of Massachusetts, Amy Klobuchar of Minnesota and Cory Booker of New Jersey. By 7:15pm Sunday, Buttigieg's campaign reported raising $1 million just since the candidacy was announced in the afternoon. Buttigieg would be the first openly gay nominee of a major presidential party; he married his husband, Chasten, last year. He would be the first mayor to go directly to the White House. And he would be the youngest person to become president, turning 39 the day before the next inauguration, on Jan. 20, 2021. Theodore Roosevelt was 42 when he took office, while John F. Kennedy was 43 and Bill Clinton was 46. More than 4,500 people assembled inside the Studebaker building, where a steady stream of raindrops fell on speakers on the stage through the leaky roof. An overflow crowd estimated at 1,500 by the South Bend Fire Marshal stood outside. "I like that he's young. He's so relatable. He doesn't seem like a politician to me," said Tom Lacy, a 62-year-old retiree who came from Peoria, Illinois, for the event with his wife, Candy, on their 35th wedding anniversary. "The contrast between him and our current president is unbelievable." The first people in line Sunday showed up around 7 in the morning and were from Virginia. Supporters came from as far away as London and Canada. Prior to addressing the crowd inside, Buttigieg went out in the rain with his husband, Chasten, and spoke to those disappointed about being unable to get inside for the official announcement. Buttigieg told those assembled outdoors who huddled under umbrellas and ponchos, "I am impressed by all those inside, but I am moved by those of you outside."